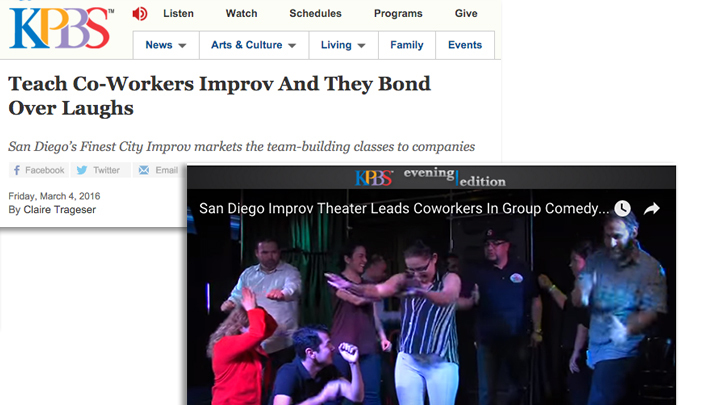 KPBS featured Finest City Improv on Evening Edition and KPBS Radio. Clair Trageser shows how we teach employees engagement and teamwork by with improv comedy exercises. See one of our clients San Diego Trading Company, featured in this story! Aired 3/4/16 on KPBS News.